John Tusa is Chair of the Clore Leadership Programme. His many senior positions in the worlds of journalism and the arts include Managing Director of BBC World Service (1986-92) and of the Barbican Centre in London (1995-2007). 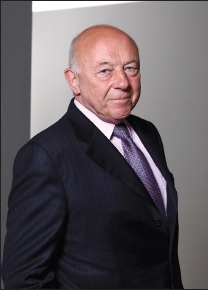 He has been board member of the National Portrait Gallery and the British Museum, as well as chair of the Advisory Committee to the Government Art Collection and, from 2007 to 2013, the Court of Governors of the University of the Arts London. Before moving into arts management, John Tusa was an award-winning BBC TV and radio journalist, most notably for BBC's 'Newsnight'. His journalism has appeared in the Guardian, Independent and The Times, amongst other publications, and his books include On Creativity, Art Matters and Engaged with the Arts. Governments should not cut arts budgets at all. Such cuts have no effect on national finances; but they weaken or destroy something at which the nation is really good. The arts help learning, advance education, unite communities, boost economies, comfort the sick, aid the healthy, bring joy to millions. What's not to value? Good leadership is essential for ensuring that the Arts survive. Leadership in the arts is itself an art as well as a set of skills and disciplines, and it demands use of the right language. Management and business speak means surrender. Leadership and management must never be confused. Management knows the rules; leadership knows how and when to go beyond them. Politicians should understand that more people value the arts than they think and will value them more for speaking up for them. The arts must fight for what they do. If they don't, no one else will.